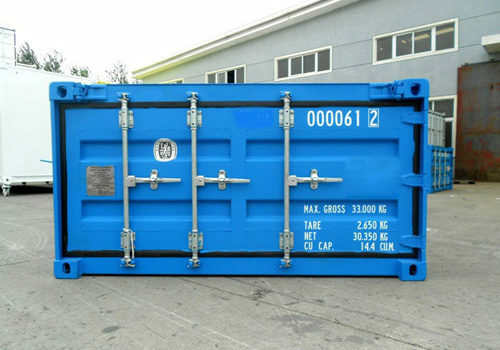 The 40-foot half-height shipping container, like the 20-foot, is used by various companies who ship aggregates like stone, gravel, sand, coal, or offshore items. Generally, an industry such as mining would use a 40-foot half-height shipping container to ship coal. When you picture coal being shipped you know that it is tons of small pieces but the weight adds up quickly; that is why the half-height container is important. The weight needs to be kept at a specific amount to make loading and unloading with a crane not only possible but safer. That weight is also figured into the safety of transportation whether it is by truck, train, or cargo ship. It is extremely important in all three of those transportation methods that the weight is distributed evenly for safety on corners or moving seas. Yes, these containers like most other shipping containers are recyclable. With some proper prep and conversion work, these half-height shipping containers can be used for many other things than just shipping. Not only are they designed perfectly to ship and transport items, but half height containers are often used to convert into an easy backyard pool. With a fiberglass insert, they make a great sized pool – especially the 40 foot container. When the containers are brand new they usually are used strictly for shipping unless someone buys one and has a conversion done. Once they are recycled and conversions are being done according to what the customer wants; they can be used for several things. The list goes on. You can come up with many uses for recycled shipping containers that are cost effective solutions to a problem you need to solve whether that problem is storage or housing and so on. How do these containers get loaded and transported? A crane is used to load these containers; which is why it is important to keep the weight to a certain limit in order to keep the crane and operator safe. Also, keep in mind each mode of transportation has its own set of weight limits when it comes to safety. Many companies and different industries in New Zealand use the 40-foot half-height shipping containers to ship their product from city to city or country to country. The types of products range from coal, metal ores, sand, gravel, and other concentrates that weigh more than other products do. These shipping containers like most others can be recycled and turned into accommodations, workshops, or storage for companies and individuals who find they need the extra room.